About the Author: Upasana Modi from Prin. L.N. 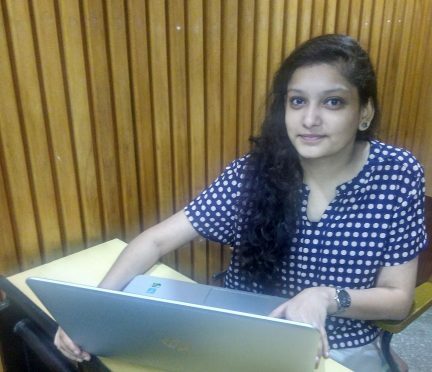 Welingkar Institute of Management Development & Research, Mumbai, shares how her HR internship taught her the real lessons in Human Resource management. “Upasana, you’re up”. My train of thoughts was brought to a screeching, abrupt halt and I jolted back into the present with these words. It was 6 PM, and finally my turn for an interview. When I’d enrolled into the MBA HR program at Welingkars, I had naively hoped that my days as an interviewee were done and dusted, but a 20 minutes-long discussion on the finer aspects of Human Resources Management proved that they were far from over. The cycle of telephone calls and shortlists continued for a while until finally, 2 out of 35 applicants were selected for a summer internship with Welspun India, one of the largest global home-grown, home textile player. And lo and behold! My name featured alongside that of my colleague in the final list, and my excitement knew no bounds. As luck would have it, however, my first day at work was full of trials and trepidation. A famous saying goes – “Trouble never comes alone – when it rains, it pours”. From cab drivers that refused to ply to being infected with the flu bug, Murphy’s law seemed to be working overtime to wreck the start of my internship. All my professors’ warnings about not being late echoed in my ear as I walked into office – visibly shaken and over 30 minutes late. As my manager pulled me aside, I braced myself for a scolding, only to be surprised when I was asked “Are you sure you’re alright? You look pale”. That one moment, that one question sparked an epiphany for me – here I was, experiencing first-hand what my professors extolled as one of the most crucial virtues HR personnel could possess – the ability to empathize and connect with people. My mini crisis thus turned out to be a major learning for me and set the tone for the days to follow. One of the first tasks we were assigned to in the course of our internship was assisting the department in migrating from traditional physical files to e-storage of documents. While this might seem like a menial, administrative task, I was honestly taken aback by the sheer volume of data maintained – the office was quite literally running out of space! – and marveled as one file after another disappeared into the digital systems. While I was always aware of the convenience e-storage of documents would bring, never in my wildest dreams had I imagined how much cost could be saved simply by not maintaining physical files! A week later, I was assigned my project for the rest of the internship – Revamping the Induction Process for GETs (Graduate Engineering Trainees). The company wanted to move beyond superficial orientation and put in place a hands-on induction programme that would not only help new joinees understand their roles and duties, but also help them establish a connect with the organisation – something that plays a crucial role in their decision to stick with the company in future. My next weeks were spent doing on-ground research – interviewing past trainees, understanding the gaps in the existing programme, looking up procedures followed by companies in similar sectors – and going back to my books to grasp what concepts and ideas I could apply and, more importantly, understanding their viability, to create better processes. At the end of my two-month long exercise, I’d created, with inputs from my manager, a brand new induction process – from the flow to the materials, and everything in between. I was ecstatic when I was told that my work was good enough to be implemented – they were actually revamping the process based on my recommendations! I can confidently state that nothing compares to the pride you feel when you can see the results of your perseverance being put into action. My internship was an eye-opener for me – it allowed me a chance to observe the theories I learned in classrooms in action in a real-life setting. These weren’t case studies, these were living, breathing people that dealt with real situations and brought out tangible results by working together. Interacting with them through the course of the internship not only helped me learn, but also reminded me of an old HR acronym and how it holds true even today – ‘TEAM – Together Everyone Achieves More’. Editor’s Note – Wish to make a career in HR for yourself? Check out these exciting HR internships on Internshala. Good stuff, you captured essence of a month in best possible way. Simply awesome!!.. Every moment has been picturesquely written..